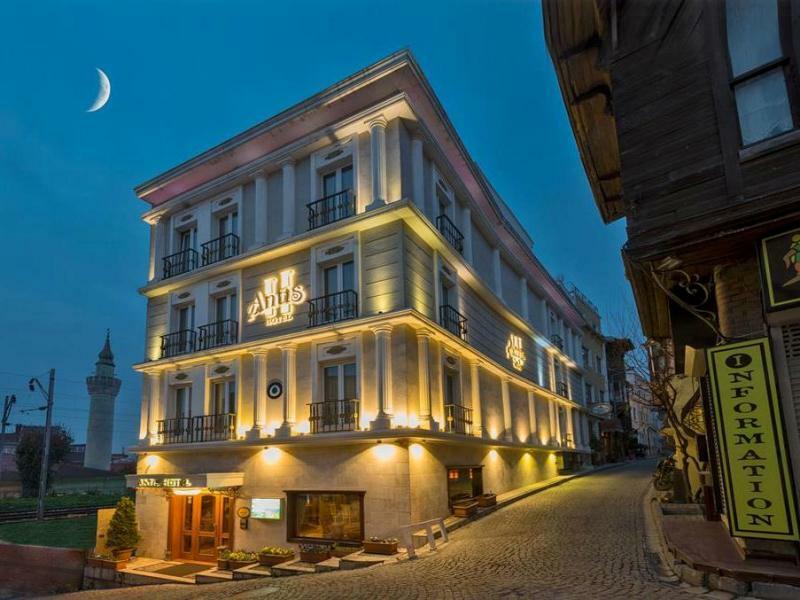 ﻿ Antis Hotel Istanbul. JIMAT di Agoda.com! Ada soalan mengenai Antis Hotel? Terletak di kawasan yang indah di Sultanahmet, Antis Hotel menikmati posisi megah di hab minat agama, siar-siar, budaya di Istanbul. Keseronokan pusat bandar hanya sejauh 1 km sahaja. Juga terletak berdekatan adalah Cağaloğlu Hamami, Otantik Gift, Grand Bazaar Jewelers. Di Antis Hotel, perkhidmatan yang cemerlang dan kemudahan yang unggul menjadikan penginapan anda tidak dapat dilupakan. Kemudahan utama hotel termasuklah khidmat bilik 24 jam, Wi-Fi percuma semua bilik, meja depan 24 jam, daftar masuk/daftar keluar ekspres, simpanan bagasi. Hotel ini mempunyai 25 bilik yang sangat cantik, setiap bilik dilengkapi tuala, televisyen skrin rata, sofa, cermin, linen. Di samping itu, pihak hotel menawarkan aktiviti rekreasi untuk memastikan anda mempunyai perkara untuk dilakukan sepanjang penginapan anda. Dengan lokasi yang ideal dan kemudahan sepadan, Antis Hotel sangat memuaskan hati. This is our second time staying at Antis hotel. It is in a great location. A 5 minute walk to the tram line that takes you every where around Istanbul. Staff are lovely and very helpful. Rooms are great and clean! I would definitely recommend this hotel to friends! Pros - location close to major attractions, easy to find, getting around via Uber or tram was easy and also getting around on foot. Loved the little restaurants in the streets close by and there is a tiny grocer and lovely kebab house restaurant opposite with meals with great value for money. Cons - breakfast was okay but would’ve been nice to have more variety such as muesli and yoghurt, pastries etc, rooftop views were great but no real activity such as lights being on at night or coffee made available so that you can sit an enjoy the views of the Bosphorus at night. 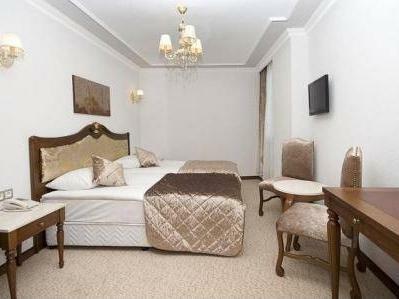 Overall a good location, clean and spacious room for two and staff helpful and friendly. If I were to travel again, I'd certainly be choosing this same hotel. Everything's nearby and the hotel and it's staff were great. Polite and very very helpful. I'd recommend to everyone. Never near what we read about the hotel and we had very bad experience since day 1. We booked 3 rooms for one family but we ended up with 3 rooms each at different floor. One of the room was at lobby behind the reception desk. We were shocked but could not leave the hotel and we were obliged to accept it since we were very late and very tired. - In the first room I checked, the a/c was not working, couldn't sleep and was hell of a night. also the doorknob of the bathroom was broken. in the morning I changed the room, where the window knob is broken, the chair leg is broken, and the toilet papers hanger is broken. so rooms are in a very bad condition. - location is good wrt to attractions, but it's very close to rails, you'd hear the train passing at random times. also the nearby cafe always play music very loudly, told the receptionist but nothing changed. Also, you'll need your muscles whenever you're leaving the hotel, because it's located down hell. - breakfast was very bad, the cold meat was rotten and smelly, and they never changed it, also some types of the cheese offered. I loved this place. Stayed there for 3 Nights and staff was more than excellent. very cooperative and Sezer was great. 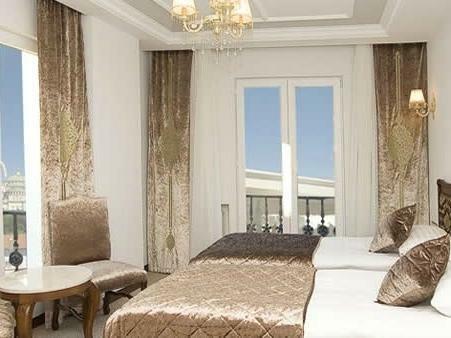 Excellent location on a walking distance to Blue Mosque, Haghiya Sofiya, Haghiya Irene, Archeological Museum, Sultan Hamami, Topkapi Palace & Museum, all within 1km walking distance. Very friendly staff, clean rooms but a bit small. Area around is in the old Sultanhamet that seems so nice to walk around. Overall an excellent stay and very cheap price got from Agoda. Staff not so friendly, others are okay! Hair dryer is broken, got a fix after two days. We enjoyed staying at the hotel as it's close to shopping areas and has a good location. The only down side was the tv didn't work other wise everything else was good and the breakfast wasn't all that. I had one day stay at the hotel. Owner & staff of the hotel super nice. Location wise, next to everything. 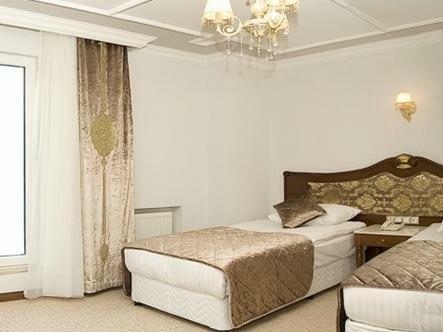 I would recomend to everyone if they want to stay at a hotel in Sultan Ahmet area. You have a fantastic hotel. We enjoyed our stay emensely. Very well situat d clos to everything from historical sites to cornice to metro and tramways. Will r commend your hotel to all friends and family. Keep up the good work. Ozkan and Yasser two great assets to this property.